By Order No. 101 on 18.12.1997, the Council of Ministers of the Republic of Bulgaria adopted a decision on the participation of the State in the establishment of an insurance company in order to implement the national strategy in the field of foreign trade, to realize Bulgarian investments abroad, to develop the export potential of country and increasing the competitiveness of the export of Bulgarian goods and services in international markets. On 29.10.1998 the Sofia City Court registered the Bulgarian Export Insurance Agency as a public limited company and in 2004 the Agency was transformed into a single-member joint-stock company with a sole shareholder in the capital – Republic of Bulgaria, represented by the Minister of Economy. The capital of the company is BGN 10,000,500, distributed in 100,005 registered dematerialized shares with a par value of BGN 100 each. BAEZ EAD is a single-member joint-stock company with a one-tier management system. The Board of Directors carries out the management of the business activities of the Agency and its members are elected by the sole owner of the capital with a term of no more than 3 years. 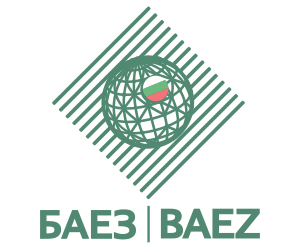 The Council of Ministers of the Republic of Bulgaria established an Inter-ministerial Council on Export Insurance (MEEZ), which carries out the state policy in the field of insurance and reinsurance under the Export Insurance Act. am. SG No. 82 / 16.10.2009 / of export risks related to the production and export of Bulgarian goods and services or to the realization of Bulgarian investments abroad. One of the important powers of the MEEZ is to approve the expenses for the activity of BAEZ EAD within the meaning of the FEE and to determine the way of investing the free cash in the bank account of BAEZ EAD under Art. 14, para. 2 of the FEE. Annually, the CEEA determines on the grounds of Art. 13 para. 1, item 4 of the EEA, the scope of the powers of the Board of Directors and its own, regarding the conclusion of insurance contracts and the payment of indemnities for insurance contracts concluded for the account of the State.